Change is seldom accepted so easily and Call of Duty: Black Ops 4 has a long, hard road ahead that winds past the traditional formula for something new and different. 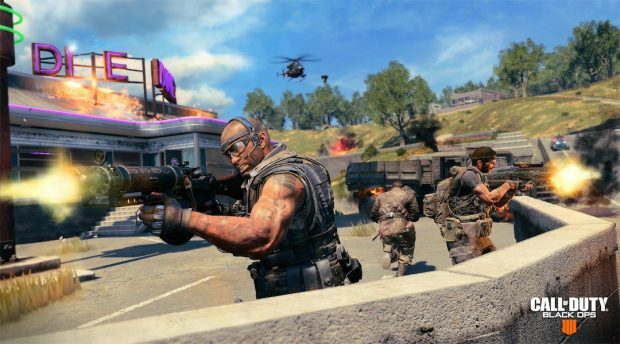 The franchise is jumping on the battle royale bandwagon this year with Blackout, a move that raises a few important questions for veterans. Just how will Treyarch integrate the hundred-player mayhem into the Call of Duty universe? Here are five concerns that the new mode must address. The Call of Duty franchise has always relished a signature fast-paced and extremely close-quarters combat system, something that has been sustained by developers over the years with two main elements. Firstly, the multiplayer maps designed have more often been smaller in scale. Secondly, the simplistic weapon mechanics without any real physics have only made it possible for players to point-and-shoot or run-and-gun with ease. In other words, the time to live (TTL) and time to kill (TTK) have always been significantly low in Call of Duty. This completely changes when it comes to battle royale or any multiplayer experience that is based in a large-scale setting such as the Battlefield franchise. The multiplayer maps are enormous and players are pushed to run outside into the open. The weapon mechanics are difficult and players must account for bullet travel time and bullet drop. However, if Treyarch does the opposite and increases the TTL and TTK rate for survivability, Black Ops 4 may end up disappointing long-time fans who have become accustomed to the brisk gameplay. That being said, it just might garner new ones in the process. Just how many times have you heard a developer claim that the next Call of Duty installment will feature the ultimate teamplay experience? Those claims have never come to be true because regardless of what measures are taken, players in Call of Duty simply branch out as lone wolves by design. Treyarch hopes to turn that around with Black Ops 4 through a slew of changes and features, including the return of “Specialists” to effectively give players a role and encourage teamwork. Think of it as taking a few pages from Rainbow Six Siege, which is a plus point in terms of instilling strategical plays. The solo path, while available, will always be a reckless one to take in battle royale. Treyarch knows this but based on history, there is a fair chance of one-man armies coming to prominence. The call for “an all-out survival and elimination experience” means marching into unfamiliar territory. There are particular requirements for a battle royale mode, at least what games like PUBG and Fornite have established, and they all are strangers in the Call of Duty universe. The franchise is simply not known for enormous multiplayer maps with a hundred or more players, distinct strategical features, possible overhauled weapon mechanics, and piloting land-air-sea vehicles. This is a first for Call of Duty in many ways and begs the question, just how much change is good? The franchise has always received flak for milking the same formula every year. Black Ops 4, with Blackout, appears to have changed course for betterment. However, there is a risk that this might end up with Call of Duty losing its identity altogether. The silver lining though will be that Blackout will essentially re-imagine battle royale for current and future contenders. The official pre-order page confirms that the game, much like previous installments, will utilize Call of Duty Points (CP) for microtransactions. These will obviously be used for customization purposes and while the listing does not mention any loot boxes, it should be recalled that the franchise has offered a pay-to-win path for players to walk on in the past. Advanced Warfare, Black Ops 3, and Infinite Warfare, three different games by three different developers, were all involved in introducing new and powerful weapons that could only be obtained by purchasing Supply Drops with real-world cash. So, will the controversial model return for another round? 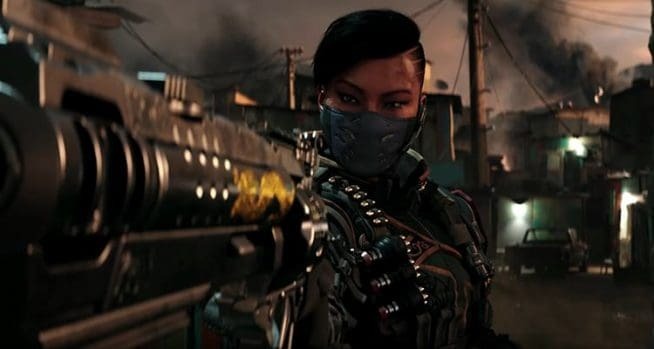 Treyarch has confirmed that Blackout will feature every single popular weapon from the previous three installments under the Black Ops moniker, making the final arsenal quite overwhelming to say the least. However, does this mean that players will have access to all of those weapons from the start or must go through a progression system to unlock the most valuable ones? Any option that is purely based on gameplay would be appreciated as long as there are no controversial pay-walls that offer loot, exclusive or otherwise, for unfair advantage in the game. It has become almost a trend to see highly anticipated multiplayer games experience severe connection problems at the time of launch. The hordes of players trying to log in at the same time naturally take a toll on the online infrastructure. Such cumbersome launches typically cripple the servers, albeit temporarily. Those on the outside must endure long waiting queues, while those who managed to get in must face possible gameplay lag. Black Ops 4 is scheduled for a release on October 12, 2018. That is the start of the weekend and considering the absence of a single-player campaign, millions from around the world are going to be jumping straight into the multiplayer without any second thought. Not to mention that the servers for Blackout are likely to take a larger pounding during the launch due to the sheer scale of battle royale. Just imagine multiple online sessions with hundred or more players each, lining up with millions on the outside who are repeatedly trying to smash their way in. Black Ops 4 is almost destined to have a messy launch weekend unless Treyarch makes the necessary preparations to handle the load.